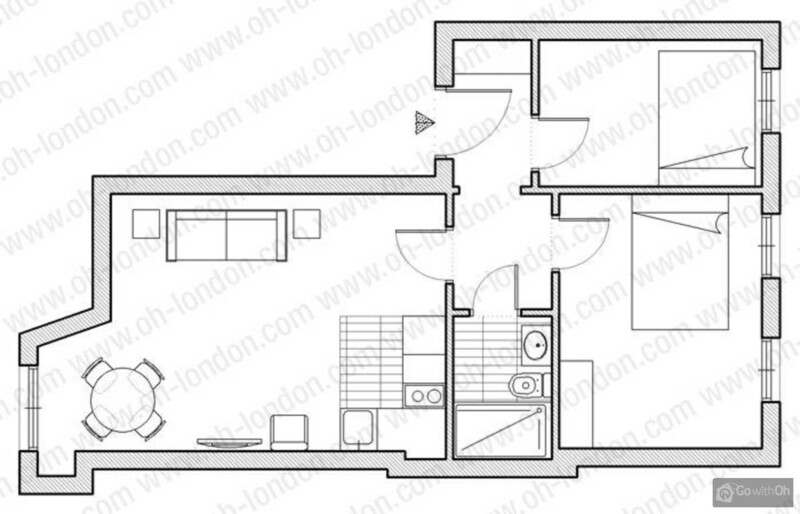 This beautiful first floor apartment of 50m2 (no lift) is located in a charming Georgian building in the heart of London just a few steps from where Charles Dickens wrote Oliver Twist. 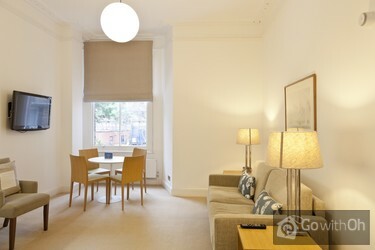 Decorated in a contemporary design, this flat offers comfortable accommodation for 4 people. 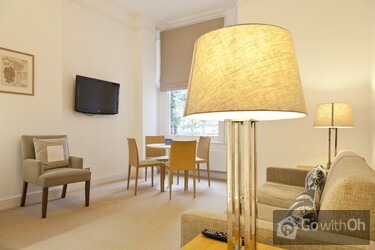 Situated just 400M from Russell Street Tube station on the Piccadilly line, only 2 stops from Oxford Circus and the fashionable shops on Oxford Street. Full of character, this attractive apartment disposes a spacious living room with sofa, Flat screen TV with pay per view channels, and free WIFI internet access. The kitchen is open plan and fully equipped including a microwave, fridge freezer, and dishwasher and has all you need for preparing your meals. There is also a good sized table should you decide to dine in with your friends and family. There are 2 bedrooms, a spacious master bedroom with a large double bed, bed side tables, flat screen TV and large closet for your clothes. 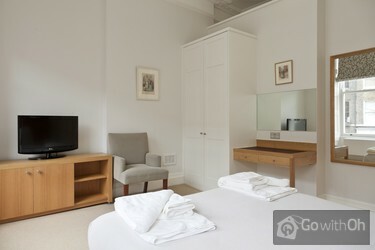 The second bedroom also has a double bed, flat screen TV and built in wardrobe. The bathroom is modern and has a large shower for relaxing after a long day of site seeing. Gilchrist and Soames soaps and lotions are provided for your comfort. 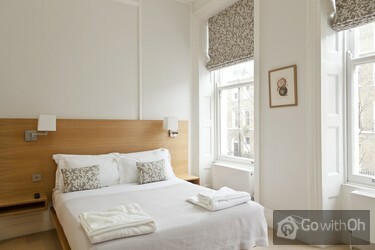 Bloomsbury is ideally situated in London and easy walking distance to all the main attractions. In less than 15 minutes by foot you can visit Covent Garden, go to see an award winning theatre show or dine in a trendy restaurant in Soho. A privileged location to be while staying in the Capital. Check-out takes place before 11am. There are no extra charges, please arrange in advance for late or early check in or check-out. Nous sommes très contents de notre séjour dans cet appartement ! Nous étions 3 : 2 adultes et 1 enfant de 12 ans. L'appartement est absolument conforme aux photos, vaste, lumineux, propre, très bien situé, fonctionnel. Le personnel est très agréable. Nous le recommandons vivement à tous ! 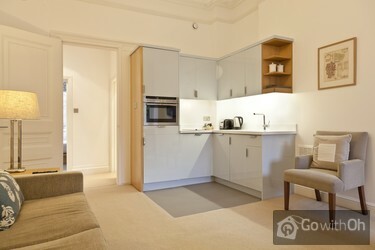 This flat was in a wonderful central location. 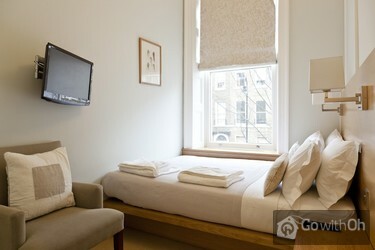 Convenient to a few train and bus lines for a quick ride to museums, restaurants, and shopping. 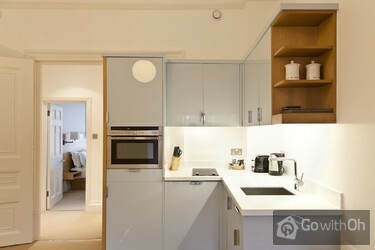 Also, the flat was nicely decorated and the kitchen was fitted out well. Nos ha gustado mucho el piso. El metro estaba a 2 minutos andando. La persona de contacto fue amable. Todo perfecto. Alles war perfekt, lediglich das Bad sehr klein. 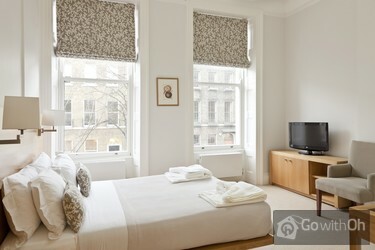 Für London ist das Apartment sehr großzügig und komfortabel, imVergleich zu den Hotelzimmern .Die Apartments sind sehr schön geplant,, ein sehr guter Dialog zwischen Design , Farben und Qualität der Einrichtung.Für uns als Familie war es perfekt und sehr erholsam in diesem Ambiente zu ...verweilen.Die gesamte Abwicklung war unkompliziert und sehr entgegenkommend. 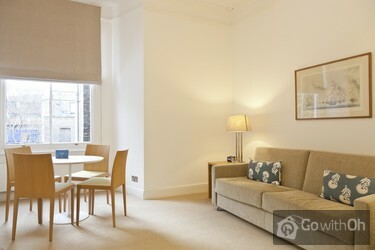 The location is great, midway between Charing Cross and Russell Square (about 5 blocks from each), and walking distance from British Museum (7 blocks) and west end. It is simply furnished, but comfortable, and the people we dealt with were responsive in meeting us and getting extra keys.